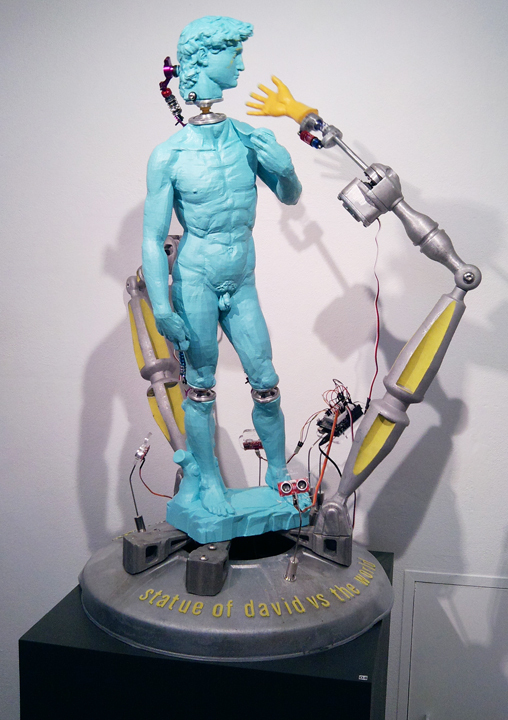 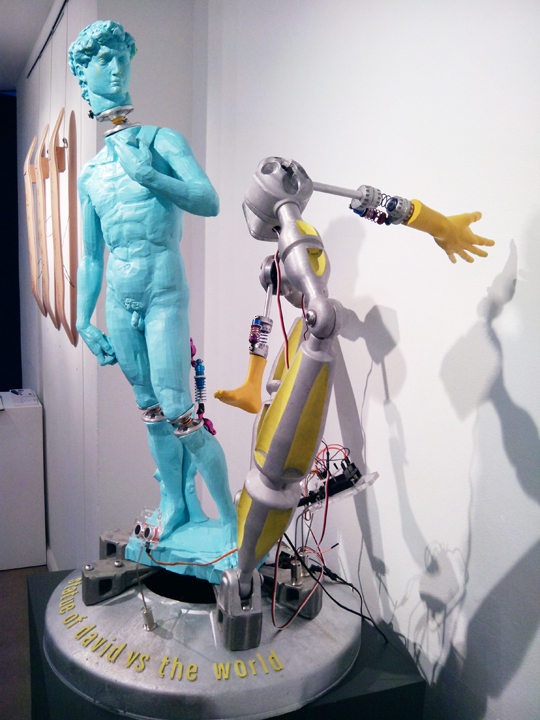 Statue of David Vs the World showcases impending technological advancement, humorously mocking the limitations of traditional art practices, creating a shift and questioning the preconceptions of the artist creator. 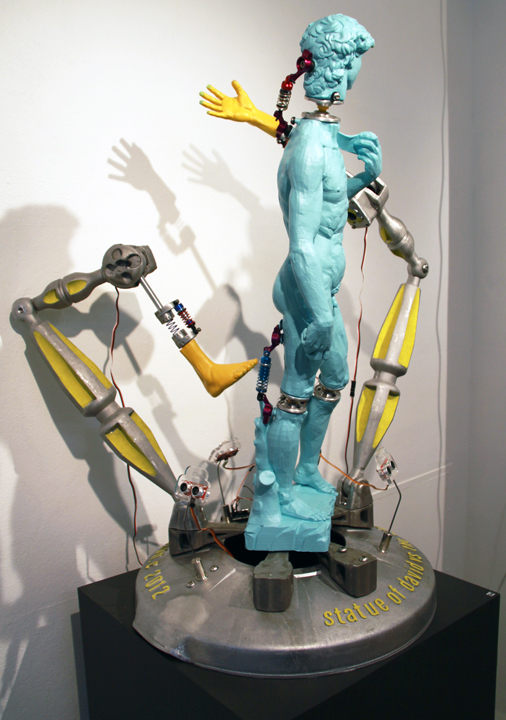 It is a kinetic work activated by movement sensors, causing the mechanical arm and foot to strike ‘David’ in the face and backside. 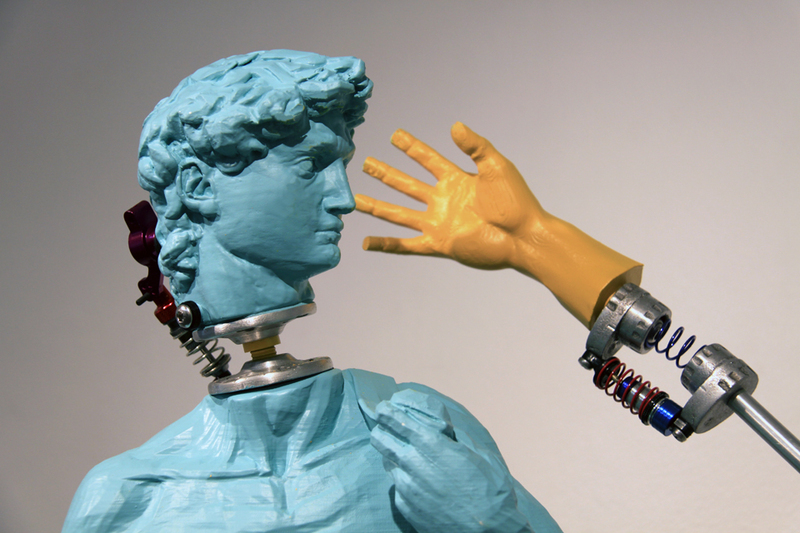 Sculptural perfection, as manifested in the Statue of David, is at odds with technology-based methodologies and production skills employed to physically manifest this work.